In these early works there are not any explicit reference to the applications for the construction of an atomic clock. The experiments of Rabi's team, indeed, had a much more specific goal: to understand the fine structure of the nucleus and if the nucleus interacts like a magnet with electrons(4). 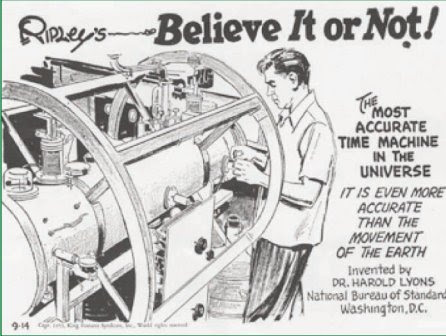 Of course in 1939 Rabu started informally the discussion about the atomic clocks(2), but only on the 20th Genuary of 1945, during a conference of the American Physical Society and the American Association of Physics Teachers he spoke explicitally about the construction of this device(2). Following some sources(2), Rabi was waiting to measure the Cesium's transition, that it happened in 1940. 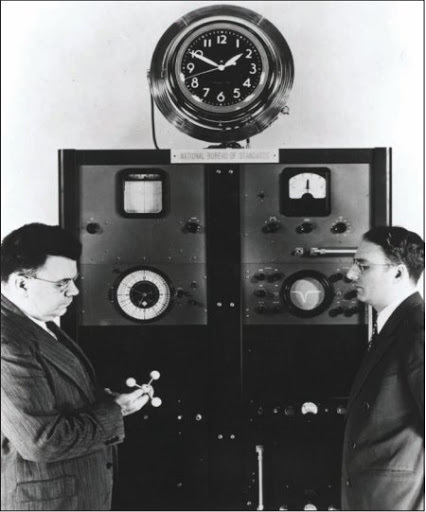 The first atomic clock was built in 1948 by the a team from National Bureau of Standards leaded by Harold Lyons(5) and it is based on ammonia.